Better than new, this stunning home occupies the largest premium lot in upscale Verona. 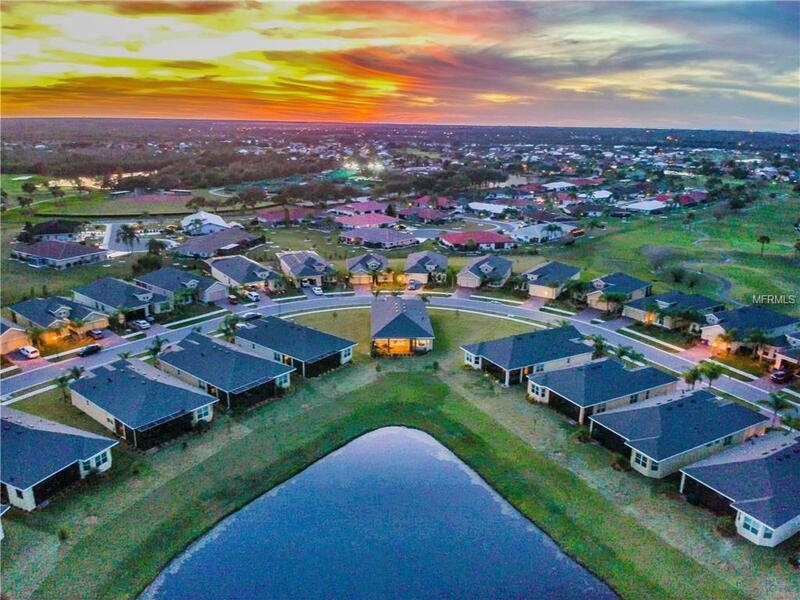 At nearly twice the size of other lots, with an awe-inspiring water view, this is one of the most privately positioned homes in Sun City Center. 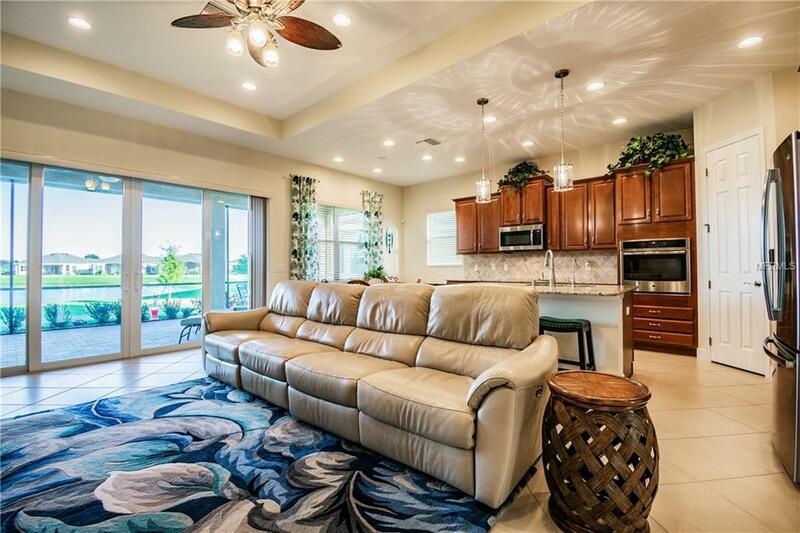 Completed in April 2018, with more than $50,000 in custom upgrades. Its the perfect home in the perfect gated community. 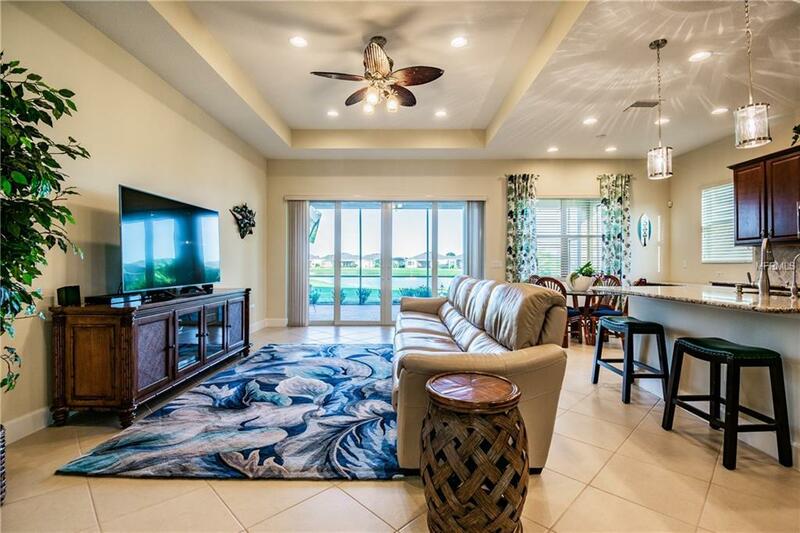 On a 1/3 of an acre waterfront lot, with 3 bedrooms an office, 2 1/2 baths, a remarkable gourmet kitchen, stunning foyer area with 16' ceilings, 8 foot doors and arched entryways, extended lanai overlooking a gorgeous pond teeming with wildlife, huge master suite with Roman shower and his/hers walk-in closets, 2 bedroom guest suite, diagonal porcelain tile throughout, state-of-the art security, custom fans & lighting, paver-stoned driveway & lanai, WOW! No need for hurricane shutters here, all the windows & sliders are PGT high impact hurricane. Choose your closing date & make me move. 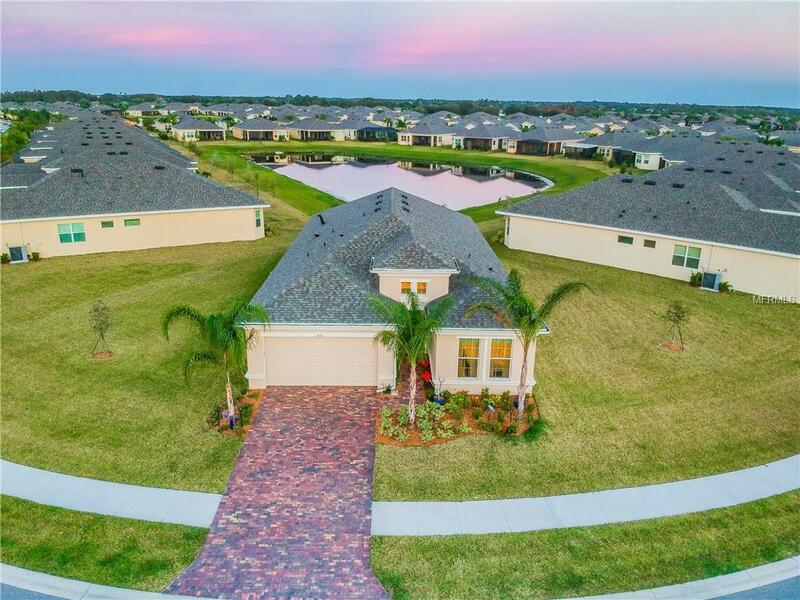 The unique gated enclave of Verona offers its own private, resort-style amenities, and all the pleasures of a hall of fame retirement community. 5 public golf courses, 200 clubs and world-class amenities, all accessible by golf cart. You'll discover a world of exquisite amenities and breathtaking beauty at Club Renaissance. The magnificent Mediterranean-style clubhouse and full-service facilities include an expansive golf shop, swimming pool, spa, fitness center and an outstanding restaurant. Minutes from world class beaches and Disney World Sun City Center has it all! Amenities Additional Fees Gated Hall-Of-Fame Retirement Community W/Renaissance Country Club's World Of Exquisite Amenities. Mediterranean-Style Clubhouse And Full-Service Facilities include An Expansive Golf Shop Swimming Pool Spa Fitness Center And An Outstanding Restaurant.